Contractors and home renovators are usually not also interior designers. The schooling and training are different, as are the skillsets, the interests, and the entirety of the job. But there is a gap between the two: renovation consultants. There are house painters and then there are house painters. All of them can apply paint, but only some make impeccable color choices. Similarly, certain bathroom remodelers are gifted at helping you make important design decisions. Because they also know how to build, their suggestions will have the utmost of useful information. When you find a contractor who can also consult on design, you’ll notice the difference throughout the life cycle of the project. 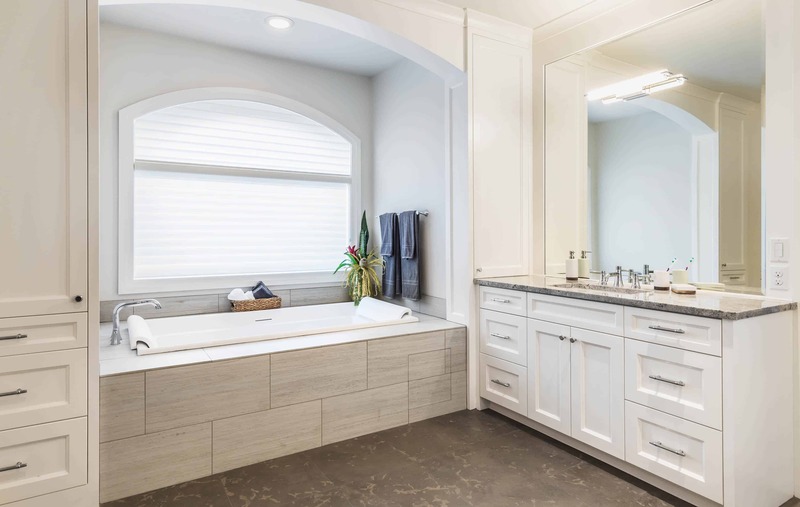 One of the biggest advantages of working with a bathroom remodeler who can consult on design is the formation of a plan. This plan should be based on the overall goals for the renovation, the desired style, what is possible, and how nearby areas will be affected (eg. getting rid of a guest closet to have a shower that is twice the size). What key elements need to occur and when? If there are electrical changes that need to be made (like adding a chandelier over a vanity) your consultant will decide during which phase that work should occur. If an electrician or any other additional contractor is needed, your consultant or main contractor can schedule the right time to bring them into the project. When you have an expert help form your renovation plan, you have already obliterated most of the headache that comes with remodeling. Contractors know pricing. Working with a Rhode Island or Massachusetts bathroom renovator who knows pricing and design means that you’ll know upfront what the materials will cost you. During the initial planning stage, you can decide how you’ll stay on budget. For example, once your contractor quotes you the cost for the bathroom tile floor, you may want to choose shower tile with a simple design, rather than something more intricate. Or you may discover that a walk-in shower actually is possible if you don’t put the toilet behind a closed door. Whatever the case is, an expert bathroom remodeler should always help you stay on budget. But one who doubles as a consultant can help you make budget-friendly choices in the very beginning that will affect the overall design. This way, you know what you’re getting yourself into from the start and you’re an active part of the process. Not overestimating your DIY abilities and instead entrusting a bathroom renovation to a professional is a good move. When you consult with someone initially on design, you’ll get a great read of their social skills. Secondary to finished product, the number one thing homeowners praise or critique their renovators on is communication. You will be surprised how much peace of mind you can get from an initial design consultation. You will not only have clearer expectations of the remodel, but you will learn more about the person taking on the project. It might seem like a consultant is just for someone who does not know what look they want. But actually, Rhode Island and Massachusetts homeowners with a clear vision benefit just as much from having a knowledgeable professional to communicate with. You want someone to protect and champion that vision, who knows how to pull it off. A remodeler who is knowledgeable about design (and who can easily converse with you about your wishes) is a fail-safe. The biggest advantage, is of course, seeing the finished design come to life. 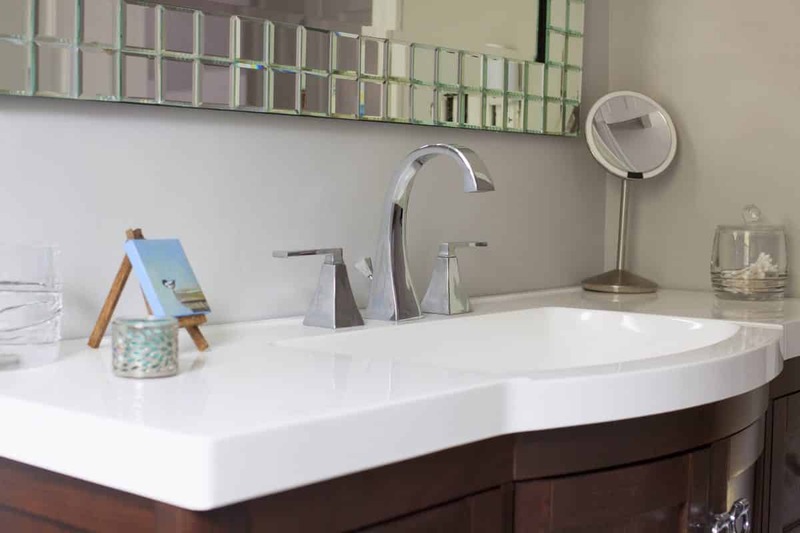 Having a gorgeous bathroom is a pinnacle of luxury and comfort. It’s where you relax, unwind, start and finish your day. With professional guidance, the colors, materials, and textures should all be harmonious. Because superb craftsmanship is truly an art, you should choose a renovator whose skill and eye you trust.